The Montrose Star is the oldest GLBTQ publication in Houston. It was first published 1976 by community activist, Henry McClurg. The Montrose Star went through several incarnations and in the late 1970s the paper became the Houston Voice. As the Houston Voice, the paper was a weekly publication through the 80s and 90s. It was purchased by Window Media, LLC, a national newspaper chain, that also owned the Washington Blade. In 2009 Window Media shut down its operations and ceased publication of the Houston Voice. McClurg, no longer with the Voice for some time, started a new publication called The Montrose G.E.M. 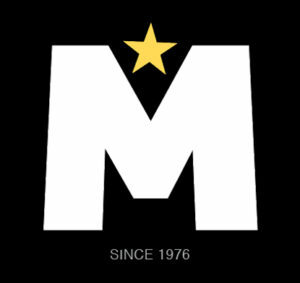 (Gay Entertainment Magazine), but when the Voice shut down McClurg took back the former name, Montrose Star, and published once again under that name. In the fall of 2010, the publication was purchased by GLYP Media Company, publisher of the national Gay Yellow Pages®. The Montrose Star continues as a “gay entertainment” newspaper. The current Montrose Star is distributed throughout Houston, Galveston and the Bay Area, and covers GLBTQ arts, entertainment, music and a local gay bars and clubs guide. The Montrose Star is a bi-weekly GLBTQ entertainment newspaper published every other Wednesday in Houston, Texas.